Women's Petite Medium. 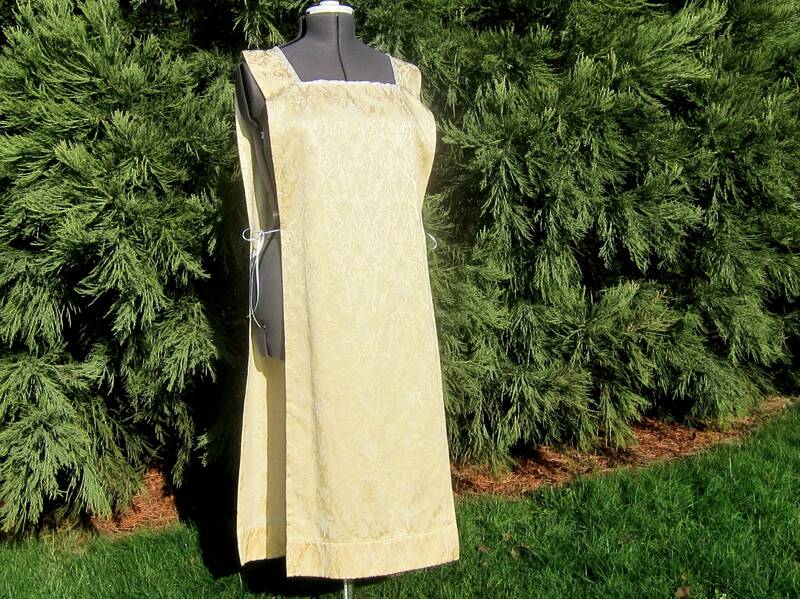 This women's yellow damask Renaissance tabard is made with a poly-cotton blend damask fabric. It has ribbon side ties. 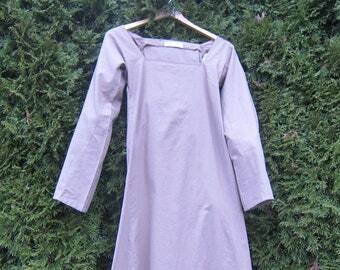 The square neckline is trimmed in white satin. This piece can be worn with or without a belt. The side ties can be used to keep the open sides in place. Tabard style surcoats are worn by men and women over a chemise, kertle, gown, or tunic. 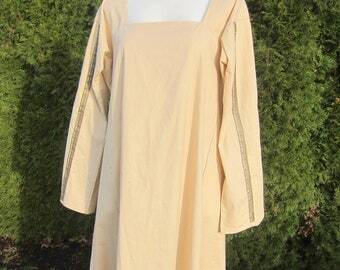 This is a good piece for Medieval or Renaissance events. It can be paired with a number of different clothing pieces and accessories to create a variety of outfits. The option to leave the sides open allows for airflow on warmer days. On cooler days the ribbons can be used to tie it closed and a belt could be paired with it to tighten it up. The open side design allows for this piece to fit different body types. a belt can cinch it in or the long ribbons can be tied tight or loosely on the sides.